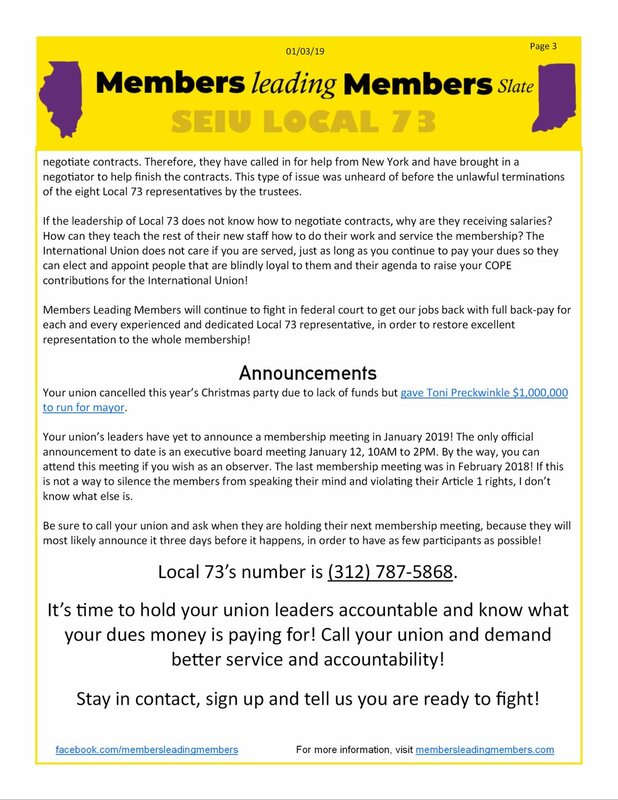 February 13th flier containing Members Leading Members’ second newsletter. 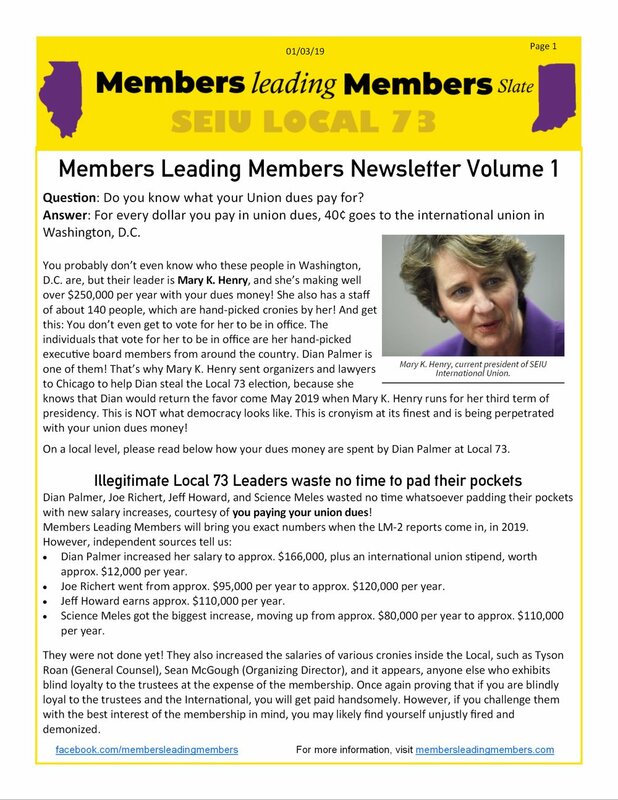 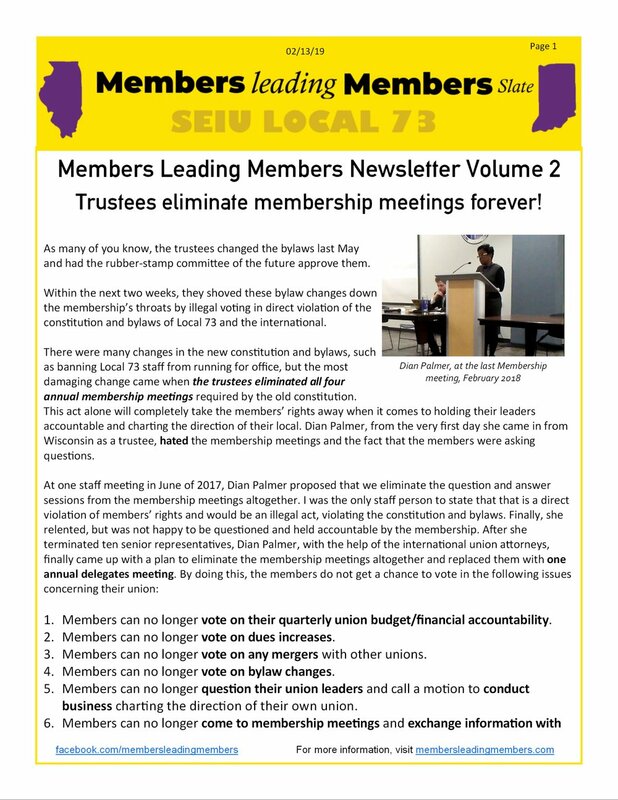 January 3rd flier containing Members Leading Members’ first newsletter. 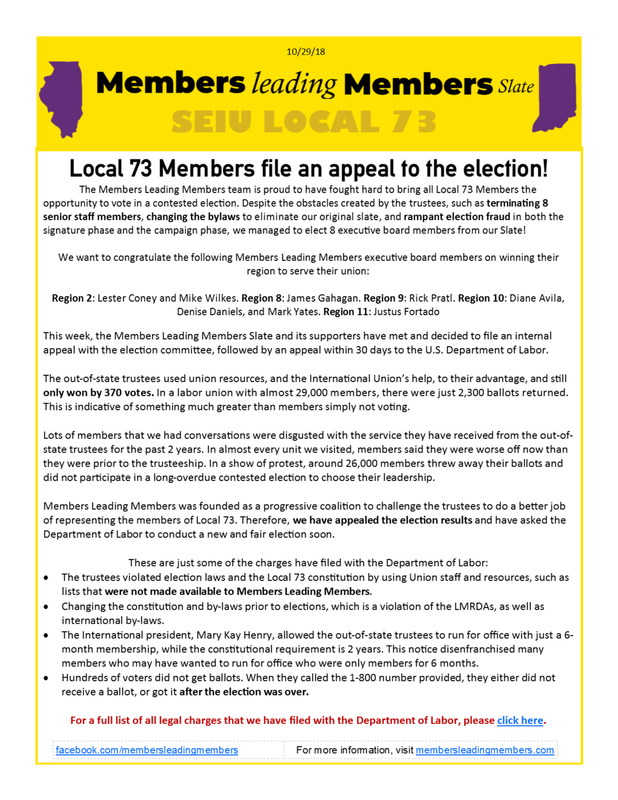 October 29th flier about Members Leading Members filing an appeal to the election. 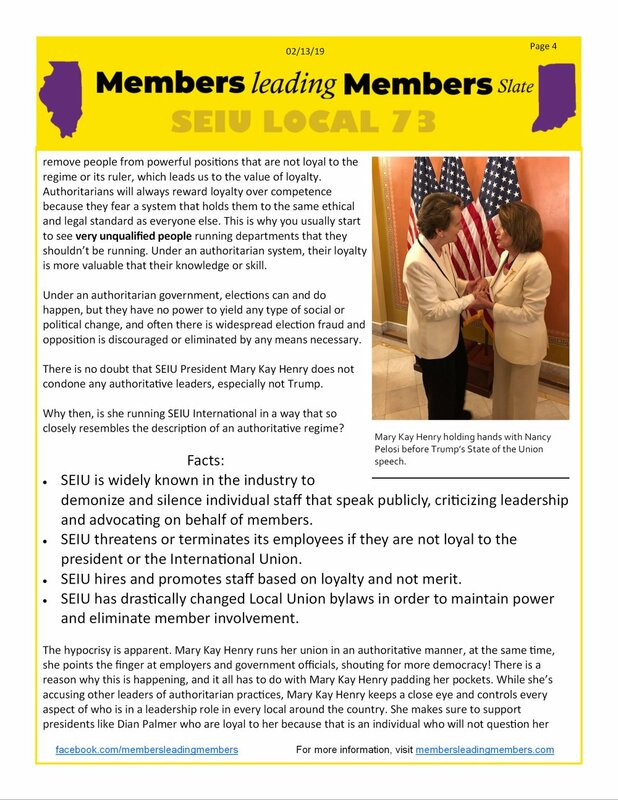 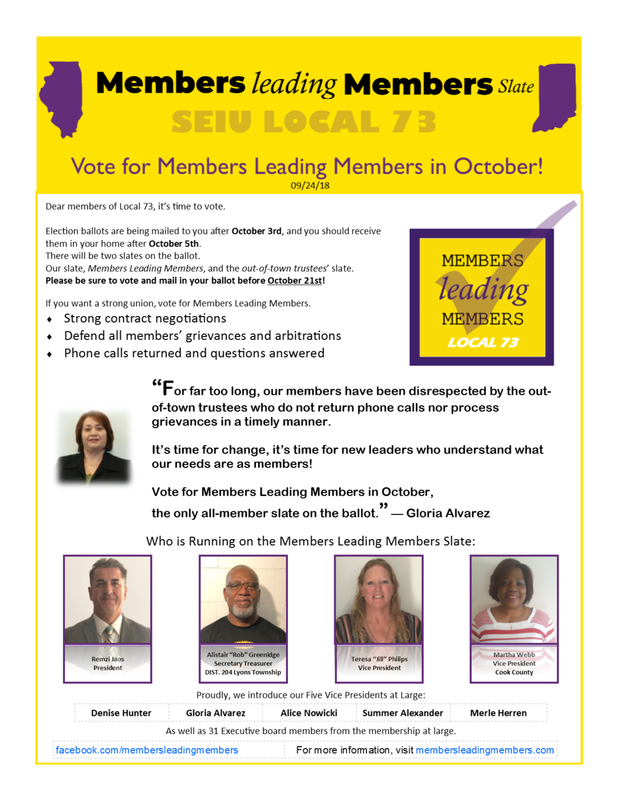 October 14th flier urging all members to vote for Members Leading Members before time is up. 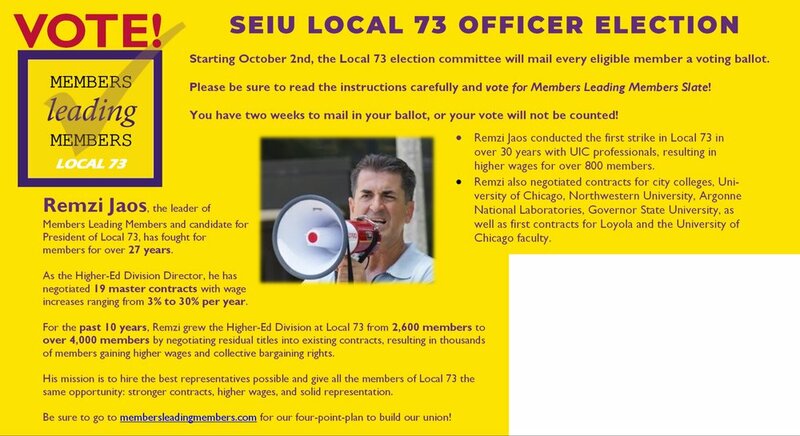 September 24th Flier detailing our upcoming election. 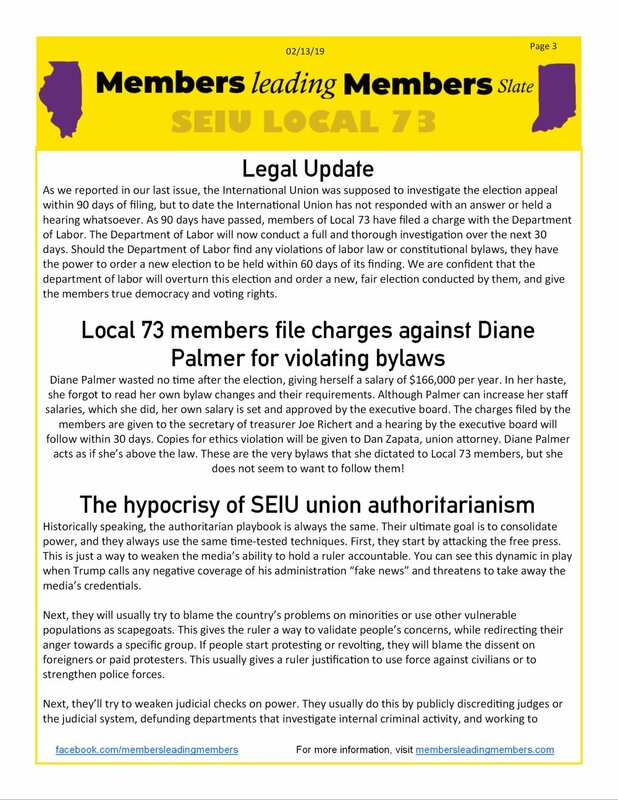 September 22nd Flier with details on elections, and the opposing slate.